Plastic whitening trays will be made from models of your teeth. You will then place a special whitening gel in each tray and wear the trays in your mouth for 1-2 hours per day. (Many patients wear their trays overnight. A significant change in tooth color is usually seen in just four to six weeks. Modern tooth whitening systems are highly effective and have dramatic results. Many celebrities consistently whiten their teeth to improve their appearance. Occasionally, patients may experience some gum or tooth sensitivity when using their trays. These symptoms subside when the trays are removed and the teeth are rinsed off. Occasionally, teeth may be stained in a way that limits the effectiveness of tooth whitening. In those instances, porcelain veneers or crowns are an excellent alternative. Composite resin is a white, tooth colored material that can be shaded to match your teeth. This material is applied to your teeth and sculpted to cover or replace the problem area. The material bonds to the surface of your teeth like a glue. It is often "cured" or hardened with an intense ultraviolet light. Bonding is initially less expensive than porcelain veneers. However, it tends to break down and discolor in several years and will need to be replaced. For this reason, porcelain restorations are usually more cost effective over time. Porcelain veneers or crowns are an excellent, longer lasting alternative. Veneers are a white porcelain cover that goes over the front and top part of your front teeth. The material can be very thin so it is a conservative option to change the colour, shape, length or rotation of your front teeth. The veneers are permanently bonded to your tooth and is made of a much stronger material than composite. Veneers can change your tooth colour dramatically (much more than whitening). The material is very thin so there is minimal risk to the teeth. They are strong so there is lower risk for chipping and breaking to bonding. Once you have a veneer on your tooth you will always need either a veneer or a crown. They will need to be replaced periodically (7-15 yrs). 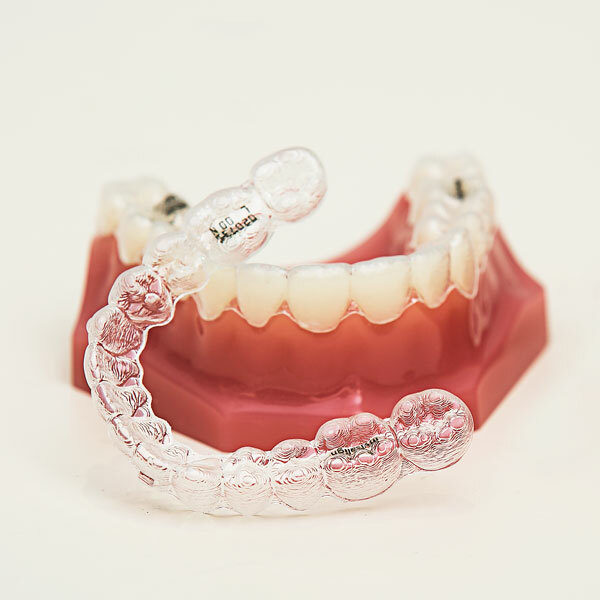 Orthodontics (see Invisalign) can move your own teeth into a better position to prevent the need for veneers. Whitening can be done to change the colour of your teeth. A crown (often called a cap) covers the tooth and restores it to its original shape and size. Decay is removed and cleaned from the tooth and a highly accurate impression 3D scan is made of the prepared surface. This scan is used to create a virtual model of the tooth which is then sent to our in-house milling chamber that will create a porcelain (tooth colored) crown. The crown is then cemented onto the prepared surface of the tooth. Porcelain offers a fine alternative to other tooth restoration materials. Made to perfectly match the shade and shape of your teeth, it's durable, it's strong, and it looks beautiful and natural. Crowns are incredibly strong. They protect and strengthen the remaining tooth structure. Crowns should be placed before the tooth fractures. This can often help prevent the expense of a root canal. It can also lower the risk of tooth loss and the expense that goes along with that (implants, bridges or partial dentures). In the event that a tooth is so decayed or fractured that it needs to be removed, the best alternative is an implant.